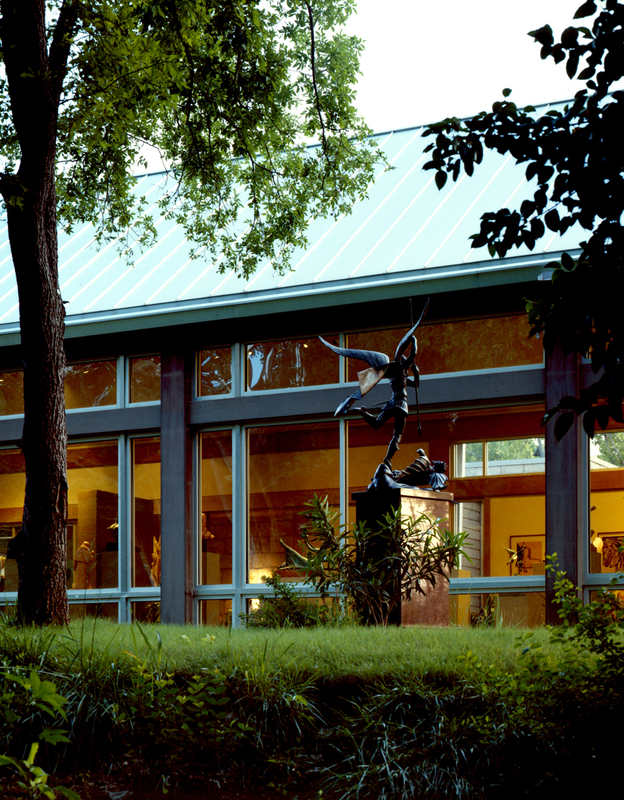 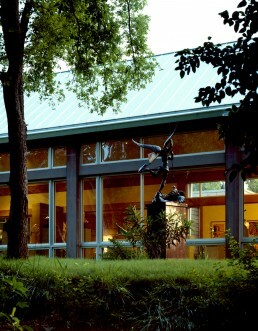 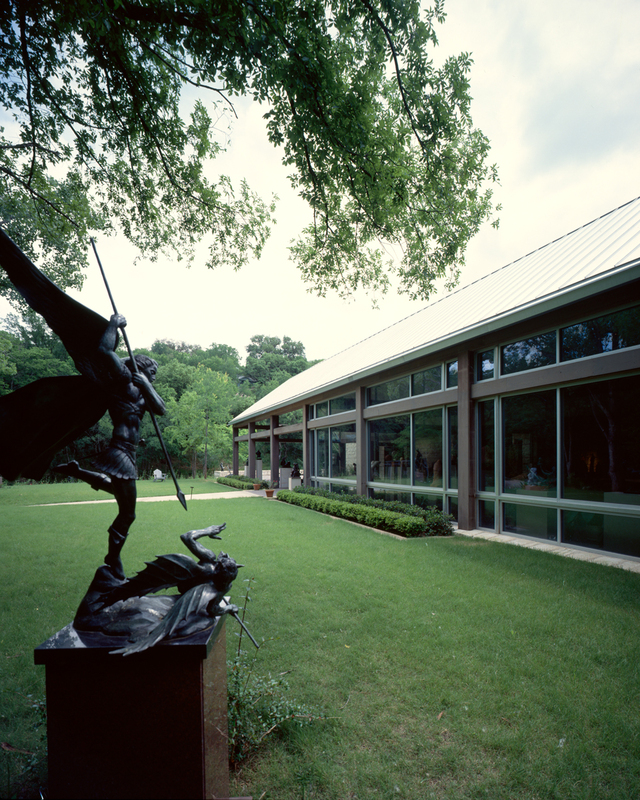 Umlauf Sculpture Garden features the work of American sculptor Charles Umlauf in a naturally landscaped garden at the edge of Zilker Park. 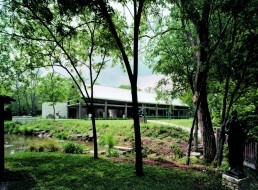 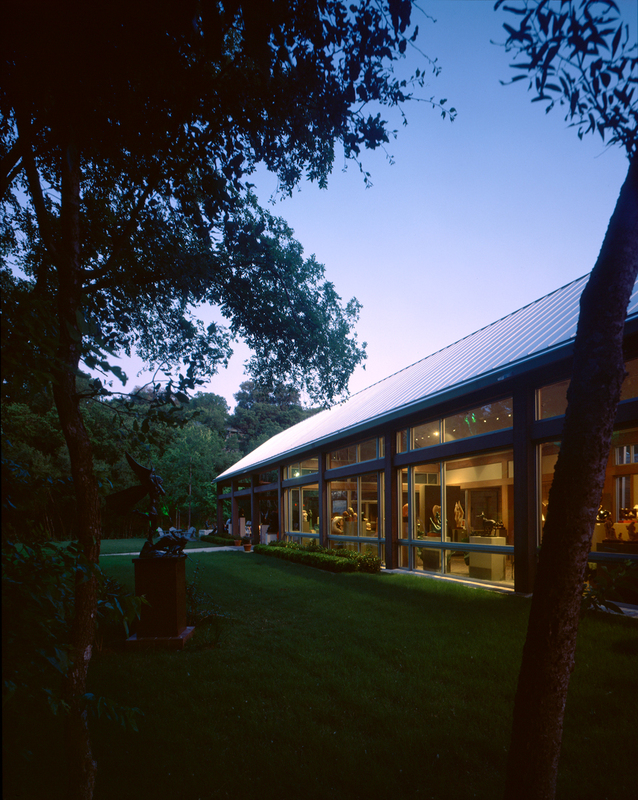 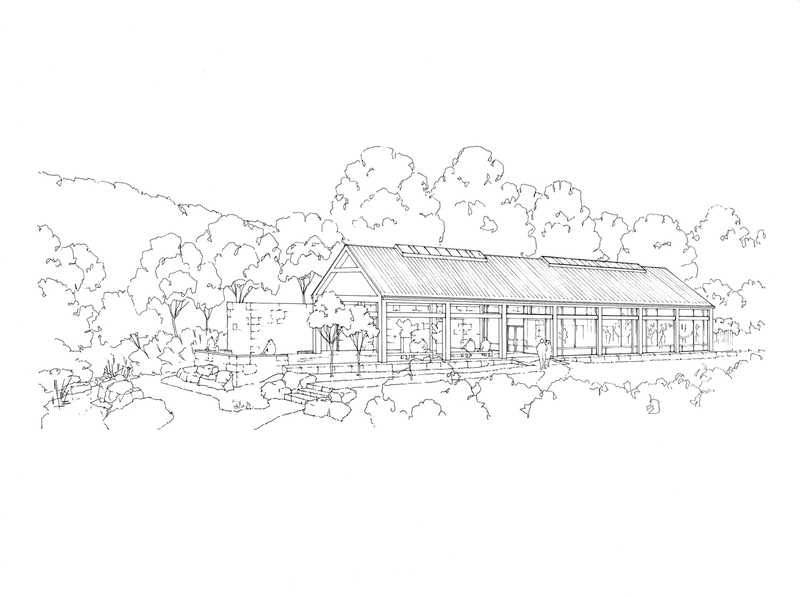 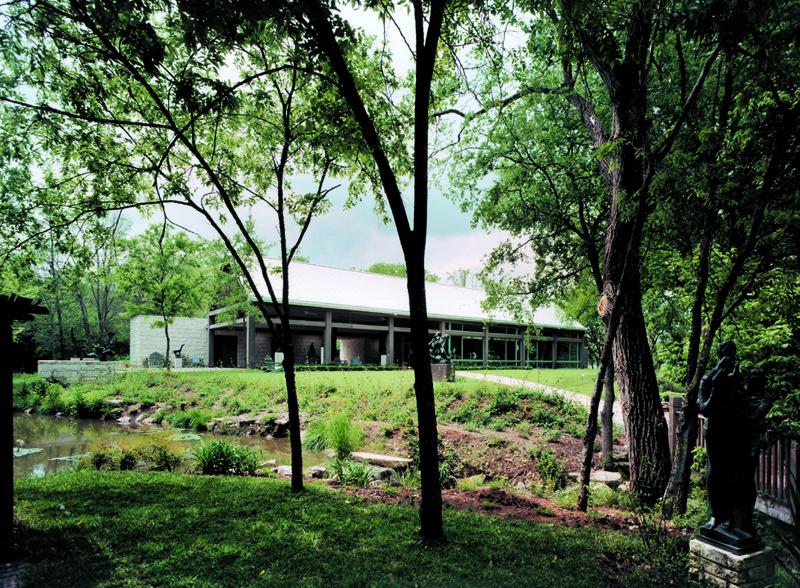 Larry Speck designed the museum and visitors center, which contribute to a beloved, public gathering space in the heart of Austin. The building expression is quiet and understated. 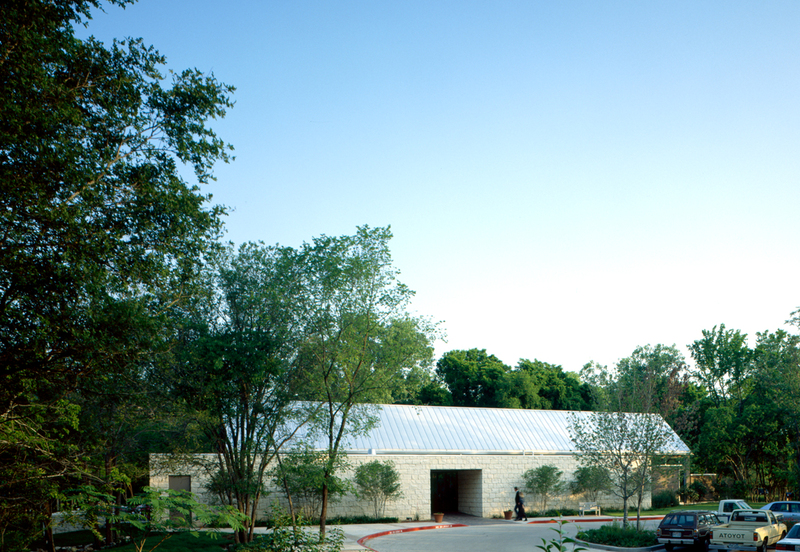 A long, thin, stone structure houses visitor support functions, creating a dramatic gateway that buffers the gardens from the street and parking area. 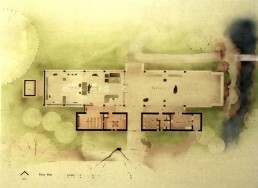 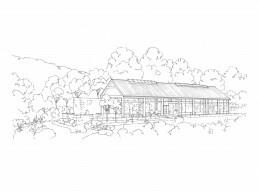 A larger open-frame volume contains indoor and outdoor gallery spaces; its generous porch opens to a terrace and to the broad expanse of gardens. All the spaces are well-lit by exposures to north light. 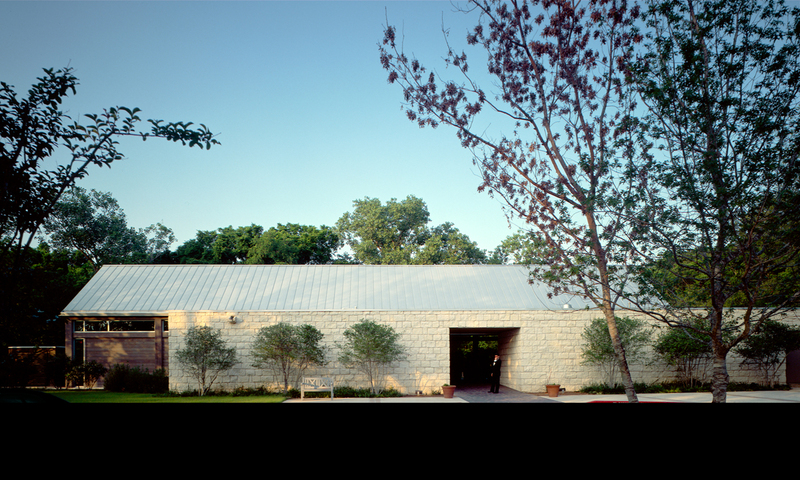 A concise material palette includes native limestone walls, a naturally finished wood frame, brick floor pavers and a galvanized metal gabled roof.